Gift Cards Tools can be used if the account is set up to accept PAYA gift cards. Contact your merchant service provider to start accepting gift cards. To activate a PAYA gift card, click ‘Transactions’ on the side menu bar, then click ‘Gift Card Tools’. Enter the number of the card, then click 'Set Card'. If the card is new, an initial amount must be added to activate the PAYA gift card. Enter the amount and click 'Activate Card.' To change the card number, click ‘Change’ on the top right side of the window. If the card number is correct, continue to Step 3. 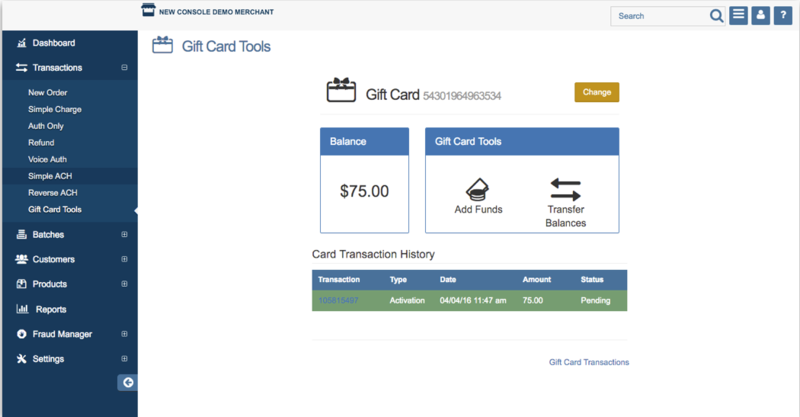 From this page, you can view the gift card’s current balance, add funds, transfer the balance to another gift card, view the transaction history, and change the card number. 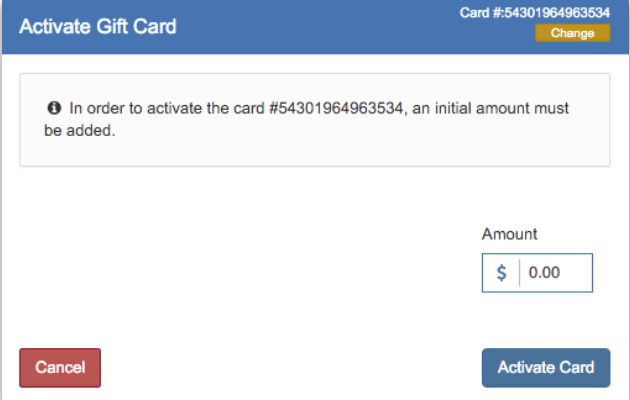 To add more funds, click the ‘Add Funds’ icon on the Gift Card Tools window, and repeat steps 1 to 4 above. To transfer a balance, click the ‘Transfer Balances’ icon on the Gift Card Tools window. Please Note: Keep in mind when transferring a balance from Gift Card 1 to Gift Card 2, Gift Card 1 will be terminated. The card can no longer be used. You will be taken back to the gift card’s page. A pop up message will appear, confirming the balance was transferred successfully. To view all your gift card transactions, click on the ‘Gift Card Transactions’ link at the bottom of the page.